Royalstarrynights, it seems like a long but definitely a worth while journey. 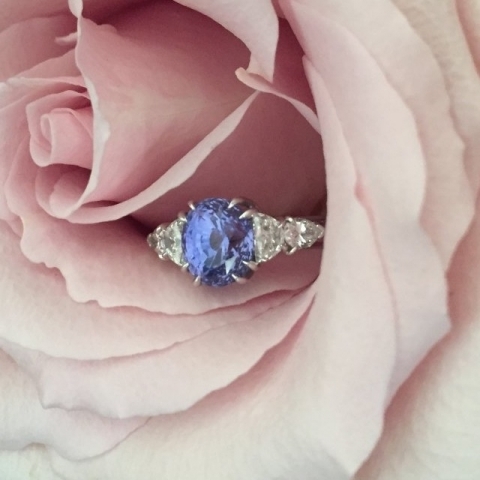 This violet color sapphire gem and setting are beautiful. Looking forward to seeing the hand pictures too. Click here to visit the forum thread and read all about the rings journey .